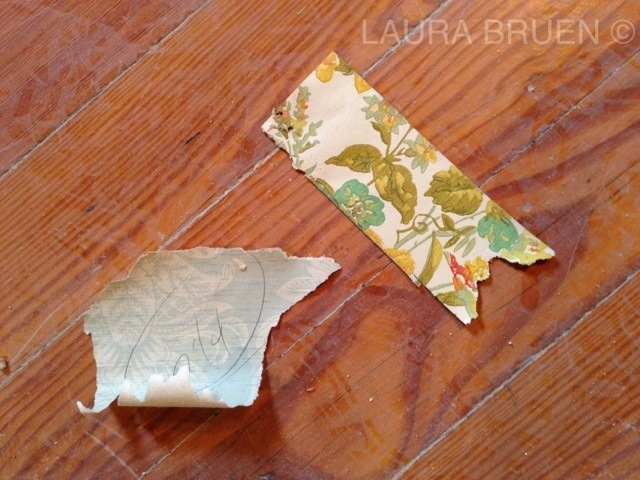 Antique wallpaper found underneath layers upon layers. Taken from the walls of my 1856 Farmhouse. It is very cool finding treasures from the past, although getting to them is exhausting. Filed under LIVE FROM THE FIELD and tagged with Master Bedroom Reno, Wallpaper. RSS 2.0 feed.